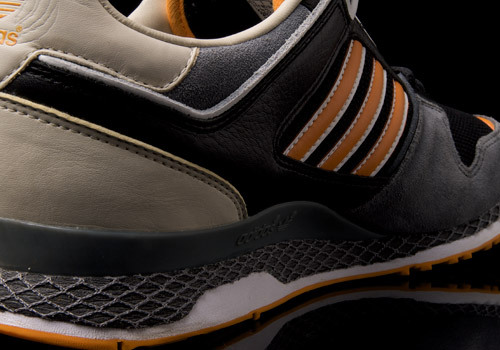 Legendary sneaker designer Chris Law (aka C-LAW) has worked closely with a variety of trainer brands, putting out non-stop fire, and consumers can have no doubt that a product with his name on it is sure to be a worthy addition to any collection. 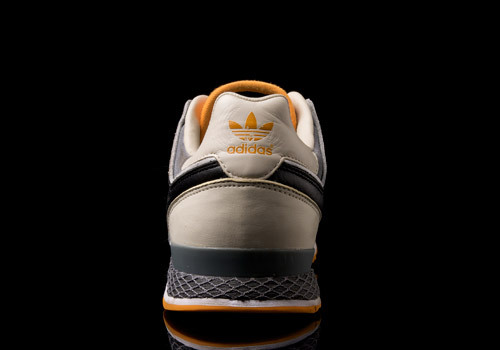 Beyond his work with shoe companies C-LAW is also well known for his own ventures, U-DOX and Crooked Tongues. 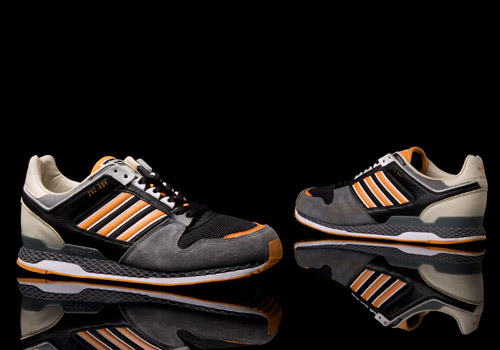 In 2007 C-LAW came together with adidas Originals to drop a ZXZ ADV in a black, (“lead”) grey, and light orange colorway. 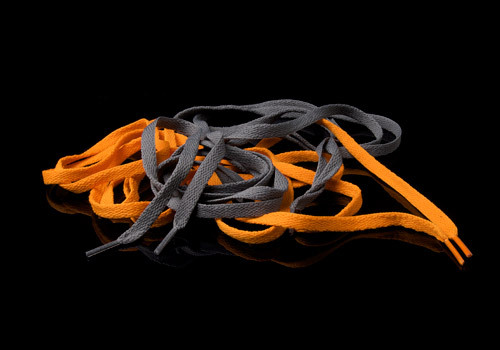 Materials of the shoe vary from soft, lead suede around the toe box and ankle collar, black mesh in the top of the toe box and between the side stripes, to the smooth black, white, and orange leather bits that break the design throughout this low cut silhouette. 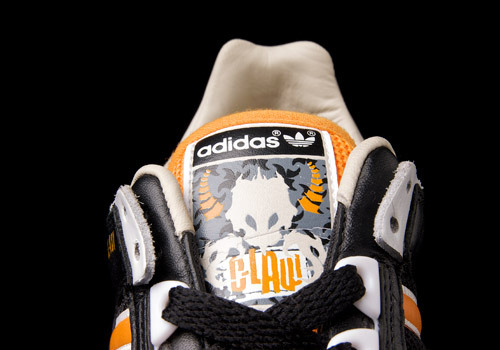 White shows up again in the Ghilly eyelets that hold the black laces above the orange mesh tongue bearing a C-LAW logo patch of a horned and clawed creature. 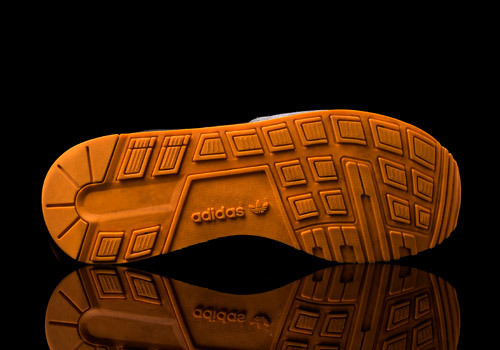 The shoe’s insole is graphically enhanced with a grey, white, and orange illustration that reads “All Day I Dream About Sneakers”, a common acronym for the adidas branding. 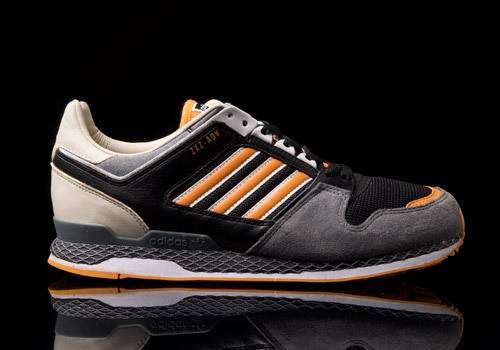 Packaged in a royal blue adidas Originals box, these adidas ZXZ ADV “C-LAW” trainers come with extra laces in both lead grey and light orange to match the colorway. 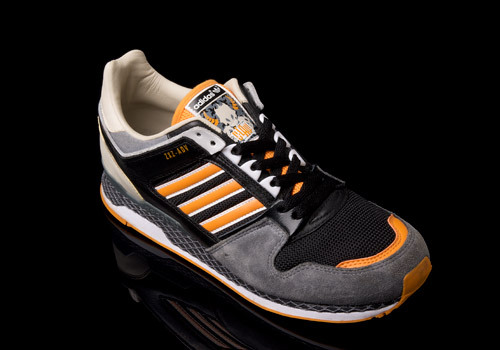 Overall the shoe provides great support for running, built on a sturdy rubber outsole, yet doubles as a fashionable casual kick for those days off the track.